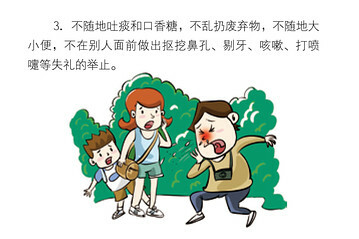 The rules urge travellers to behave and “abide by the norms of civilised tourist behaviour.” No urinating in the pool, nose picking or stealing life jackets from the plane: China issues 'civilised' travel guidebook for tourists heading abroad. Occupying public toilets for long periods of time and leaving footprints on the seat are discouraged. Drinking soup straight from the bowl and slurping is not appreciated. Don't pick your nose in public and keep your nasal hair trimmed at all times. All are of the above rules are outlined in a 64-page booklet, "Guidelines On Civilised Travel Abroad" from China's National Tourism Administration. Many are country specific. (Asking Britons whether they have eaten is deemed impolite.) China's list of dos and don'ts came in 2013, at the launch of ‘Golden Week’, a public holiday that began on October first. Do not coerce locals into taking your photo. 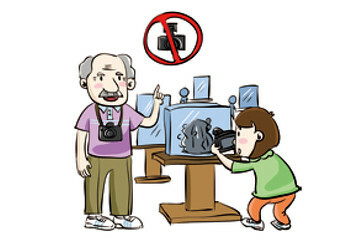 Beijing's handy rule book, aimed at curbing the unruly behaviour of Chinese tourists abroad who have developed an ‘uncivilised’ stereotype, is all in an effort to smooth out international relations. China's Vice Premier Wang Yang said in May 2013, that the tourism louts had 'damaged the image of the Chinese people'. 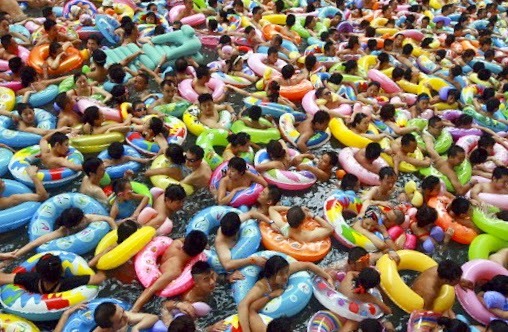 China's new guidebook for tourists warns that peeing in the pool is not optional. 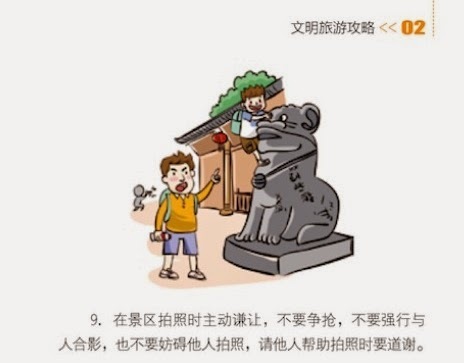 In the book, which also comes with helpful illustrations, tourists are urged not to occupy public toilets for long periods or leave footprints on the seat. Life jackets should be left underneath the seat in aircraft, the rulebook states, because ‘if a dangerous situation arises then someone else will not have a life jacket’. China's list of dos and don'ts came in 2013, at the launch of ‘Golden Week’, a public holiday that began on October first. The handbook also dispensed country-specific advice: Chinese visitors to Germany should only snap their fingers to beckon dogs, not humans. Women in Spain should always wear earrings in public -- or they could be considered effectively naked. Diners in Japan should not play with their clothes or hair during a meal. Tourists are reminded that all air-conditioned places in Hong Kong and Macau are no-smoking areas, and mainlanders should not try to get refunds for food. One tourist from Guizhou said the new rules provided tourists and locals with a better environment. 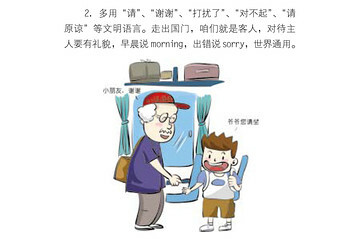 Talk about people behind their backs in Chinese (because someone nearby might understand you). Give a handkerchief in Italy as a gift because it is deemed inauspicious. Ask Britons whether they have eaten. Touch people's belongings in Nepal with a foot. Ask for pork in Islamic countries. Call Africans 'Negros' or 'black'. Use the left hand to touch other people in India. Eat a whole piece of bread in one mouthful or slurp noodles noisily inside an aircraft. Use shower curtains in a hotel. Keep quiet when waiting to board a plane. Keep mobile phones turned off until the aircraft has come to a complete stop. Be punctual if taking part in a tour group. Arrive at a banquet hall 15 minutes early and adhere to a formal dress code. At the time, a 33-year-old tourist visiting Hong Kong from central Anhui province complained that the guidelines were too many and too specific. 'You cannot possibly look through all of the rules before you go travelling. But one tourist from Guizhou said the new rules provided tourists and locals with a better environment. While several countries have eased visa restrictions to attract affluent Chinese tourists, complaints about etiquette have made international headlines lately. A Luxor, Egypt site, originally built by Amenhotep III in the 14th century BC and completed by Ramessess II, has been defaced by a Chinese teen. 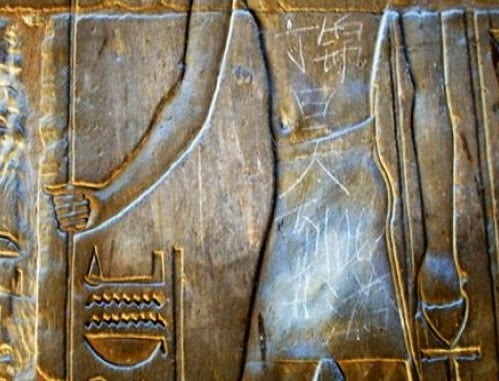 By carving his name into it in May of 2013, the 15 year old vandalised a 3,500-year-old Egyptian temple relic. The "Ding Jinhao visited here" in Mandarin, was carved into one of the sandstone carvings. It was then photographed by another Chinese tourist, who posted it on Weibo, accompanied by the comment: "My saddest moment in Egypt. Ashamed and unable to show my face." Luxury French fashion Zadig and Voltaire sparked a huge controversy last year by claiming its new 40-room boutique hotel, due to open in 2014, will not be open to Chinese tourists. In February, a mainland Chinese man reportedly relieved himself in a bottle in a crowded Hong Kong restaurant, sparking anger online and prompting some locals to deride mainlanders as 'locusts'. Chinese tourists in North Korea have been accused of insensitive behaviour, such as throwing sweets at children ‘like they’re feeding ducks’. Despite the rulebook, some mainland tourists appear to have retained their own set of standards, however. Outside Golden Bauhinia Square, one of Hong Kong’s main tour group hotspots, a mother could be seen helping her son urinate into a plastic bag, the Post reported today.